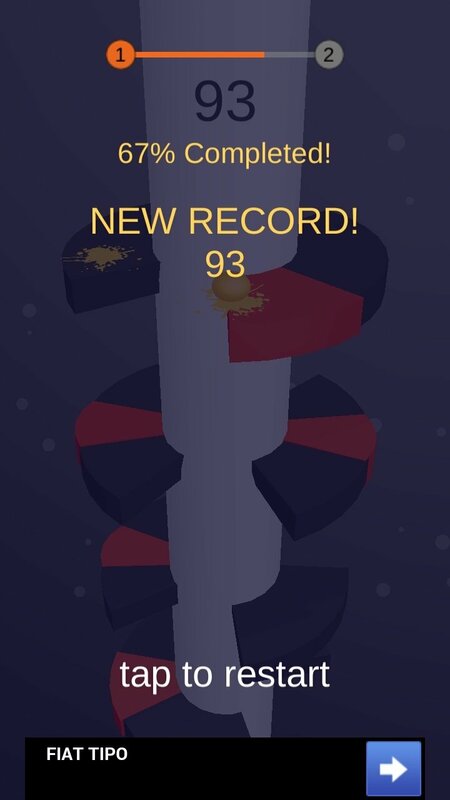 Casual games are already amongst the favorites of smartphone and tablet gamers. Playing on a touchscreen will never be as comfortable as doing so as on a computer or state-of-the-art video console and that's why many mobile video game studios prefer to create simple games with an addictive component instead of huge developments. 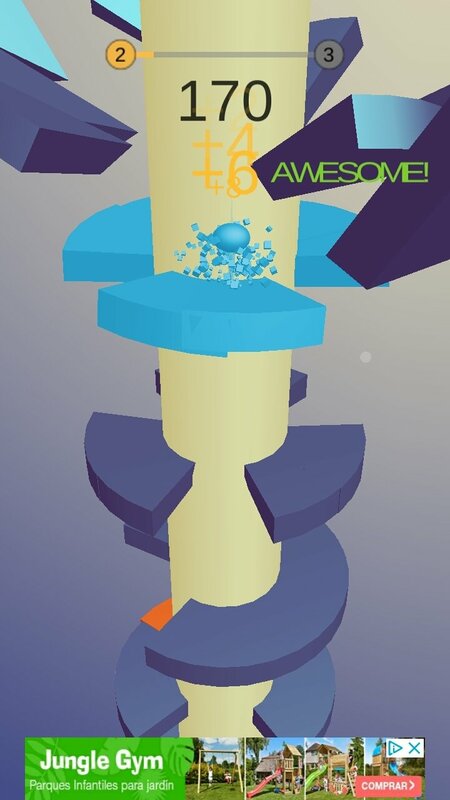 Thus, by getting rid of complex plots and heavy graphics, they still manage to entertain everyone and develop loads of games with which we can all have a great time. VOODOO and Ketchapp are two of the studios that have managed to understand this trend the best. Each week, their teams come up with a new hit for the App Store and the Google Play Store. 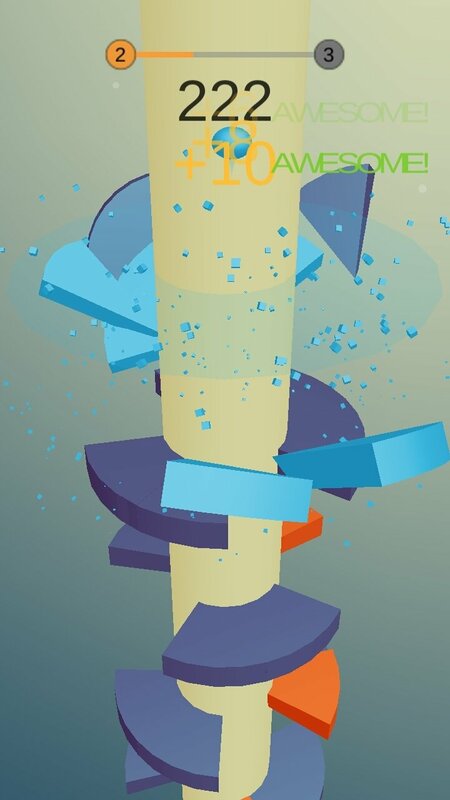 And one of the latest games developed by Voodoo for Android is this Helix Jump. It's the typical simple game that you'll only understand once you've tried it out. 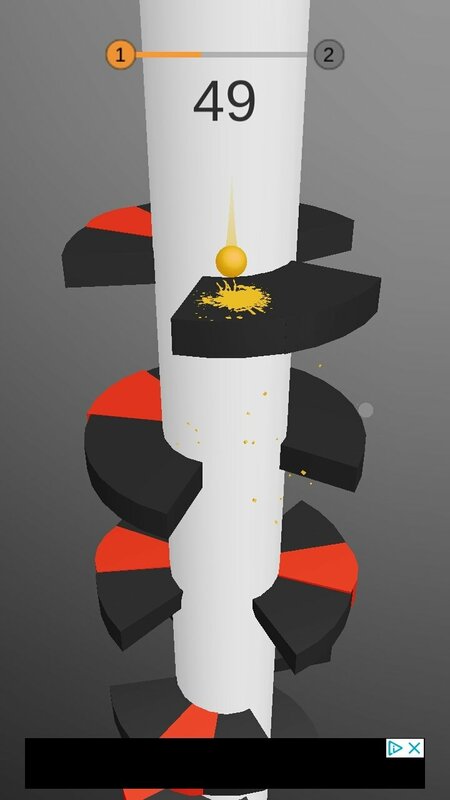 How to play may sound somewhat confusing: the scenario shows us an irregular helix with open blades that the player must rotate to make a falling ball fit into the different gaps or holes. 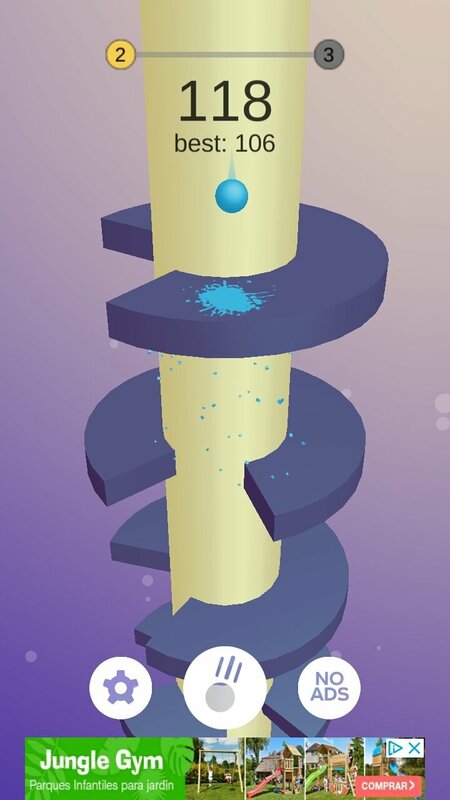 Help the ball to reach the floor by rotating the helix. 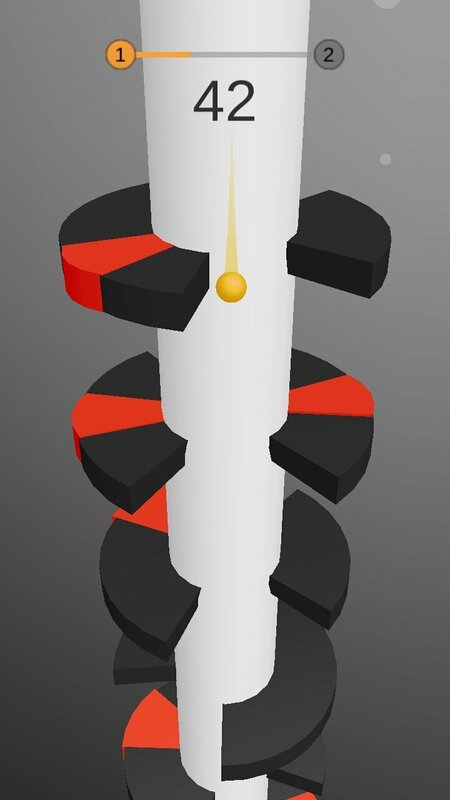 To do so, the player can make the ball rebound on the blades, provided that it doesn't touch the color strips, and we can increase our score when the ball drops enough to accelerate and break the following blade. Finally, this game is divided into levels and it's not an endless runner as it may seem at first sight. 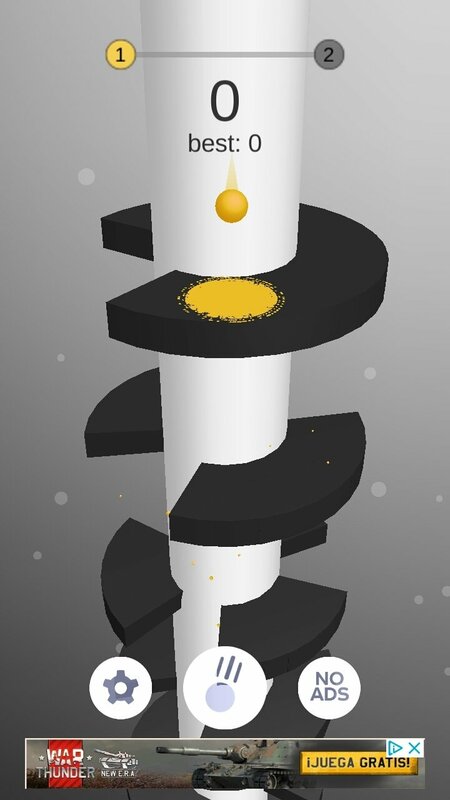 On each level that we manage to complete by taking the ball down to the ground, the scenario will change its color and we'll start a new level, much more complicated than the previous one. If you like the game, we recommend you to get rid of the adverts by means of an in-app purchase as there's a 30-second video between game and game that can be quite annoying.